Stylish and modern villa, designed for two families, located in private gardens. The villa offers spectacular panoramic views of the sea. The villa is designed for a luxurious Mediterranean holiday. 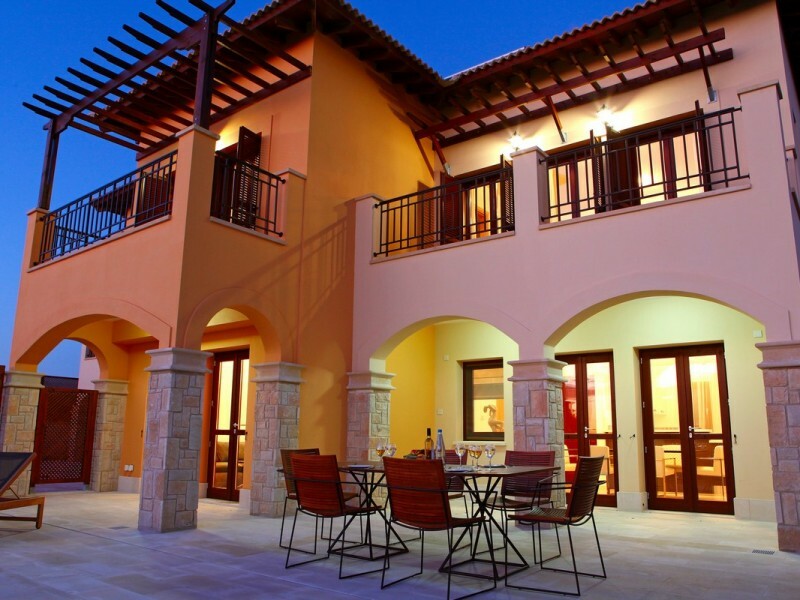 The villa is equipped with a bright open plan lounge with a large covered terrace. In fact, the area of ​​the inner space of each property is from 137 to 165 square meters. Attention is paid to the smallest detail: high quality Italian kitchen furniture; elegant marble bathrooms Crema Royal; marble or parquet flooring; heating system under the floor, built-in dual air conditioning / heating; consumer electronics; security system. Each villa has a private heated pool and covered Hydrazzo. Pool is located in landscaped gardens - the perfect place to relax and enjoy sunrises and sunsets. Majestic entrance leads directly into the bright and spacious open-plan living. Before your eyes immediately open the glass doors that open out to an amazing view, and that lead to the covered terrace, gardens and private swimming pool. Large open-plan kitchen, fully equipped with a beautiful kitchen equipment, leads to the dining room, decorated with much taste. On the ground floor is also conveniently located wardrobe. On the second floor there are two or three spacious bedrooms. In both cases, the elegant master bedroom has a private terrace overlooking the sea, a very large luxurious bathroom with double sink. Whichever you choose a villa with two bedrooms or the stirrup, the second bedroom is also equipped with a private terrace and a bathroom or shower room.